The Powerhouse Museum (or the MAAS) is one of our favourite places to visit in the city. Along with their multitude of engaging and educational permanent exhibitions, there is always something new and exciting to see and explore. On Monday the 12th February we attended the very first MAAS Minis. MAAS minis is a monthly curated play-based learning session that provides young children with the opportunity to explore and experiment with a range of toys, books and sensory items. Minis is designed for young children aged 3-5 years (and for the younger children there is MAAS Tinies program for 0-2 year olds). The 45-minute sessions are run by museum staff and have a different theme/focus each month. The session that we attended had an emphasis on colour and light and provided a range of learning opportunities that were perfect for little hands and minds to explore and experiment with. After MAAS Minis we tried out the new Tinkertoreum, a creative workstation that provides children with the opportunity for hands on creation and construction using various materials and building suggestions. Set up with everything you need, such as cardboard, playdough, tape, pop sticks and straws, budding engineers can create and design till their hearts content. After our busy morning of play-based learning we enjoyed MAAS story time. During story time you can enjoy a children’s story book (in one of the coolest settings there is) followed by a fun matching craft project. The next MAAS Minis session is on the Tuesday 6th March and will be design based to coincide with the Sydney Design Festival. Children’s tickets can be purchased online for $15 each (non-member) and it is free for the accompanying adult. 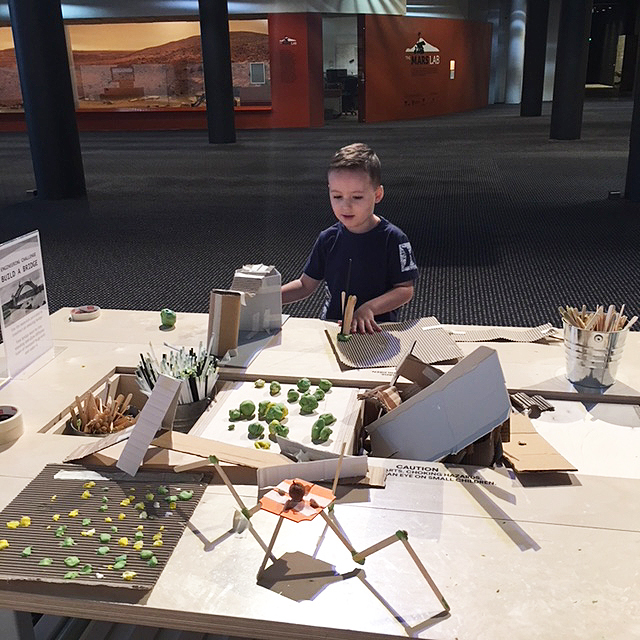 For more information on the Powerhouse Museum and MAAS Minis, head to their website.